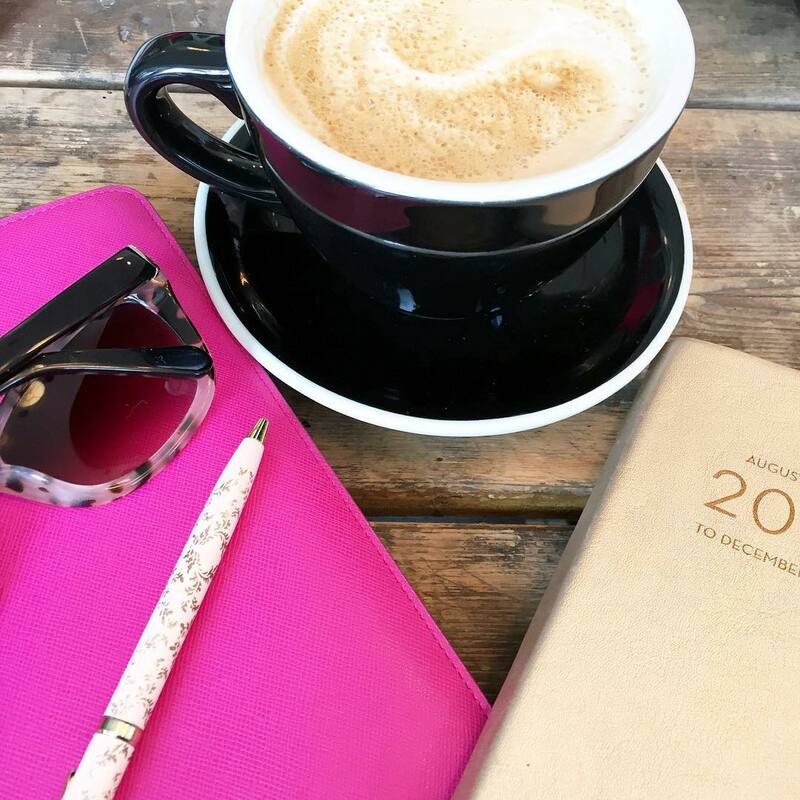 I have some exciting stuff to share with you all today - two giveaways for two of you lucky readers!! But before we get to that (or unless you just scroll to the bottom, which I hope you don't) - let's do some reviewing!! This is not your run of the mill serum and has a thicker consistency than most other serums on the market. It's recommended that you use on a cleanly washed face and apply before your moisturizer. I absolutely love the citrus smell of the serum and it's completely different from any other product I've tried. It comes with an easy to use dropper (think science experiments) that makes application so easy and assures that you use the right amount! Right after application you'll notice your skin tightening - not in a bad way, but in the "something good is happening" way. Final thoughts: I can't speak to it reducing the signs of aging (fine lines) as I think it would take an entire month, if not more, to really see those results. I do feel that my skin is tighter and my make-up application has been much smoother. I love how fast it absorbs into my skin and doesn't leave that oily feeling that so many other serums have. If you're interested in learning more about the product or purchasing the serum click here: Vitamin C Serum (there is also a 90 day guarantee)! The lovely people at Gloss48, you'll remember a previous post I did for them in June, sent me two products launching on their site today!! Just to give you a little refresher - Gloss48 launches new, indie beauty products daily, at prices that wont break the bank so that your beauty loving self can test out new products. For the first 7 days those products are on the site at a promotional discount and these Body of Royalty products will be 20% off MSRP for that first week! Body of Royalty Cosmetics is a luxury cosmetics brand created for young, elegant and sophisticated women. Who is this woman? She's confident, provocative, know's her self worth and is YOU! So what do these colors look like?! I can't rave about these colors enough - but even Gary commented on how he was loving the bolder lip color. I'm taking a step out of my pink lip color comfort zone and really loving this combination of lipstick and lip gloss. You may have noticed I was sporting this color in this post! 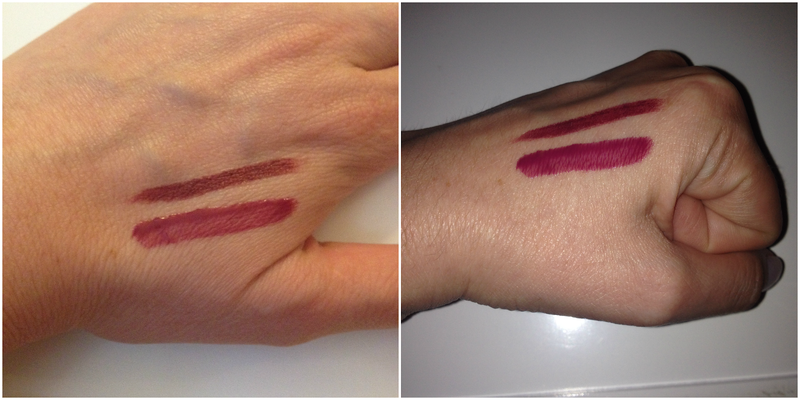 If you're looking for more shine, the gloss in "Desires" gives your high watt "berry" finish. The lipstick "High Class" goes on matte and is the perfect fall color. 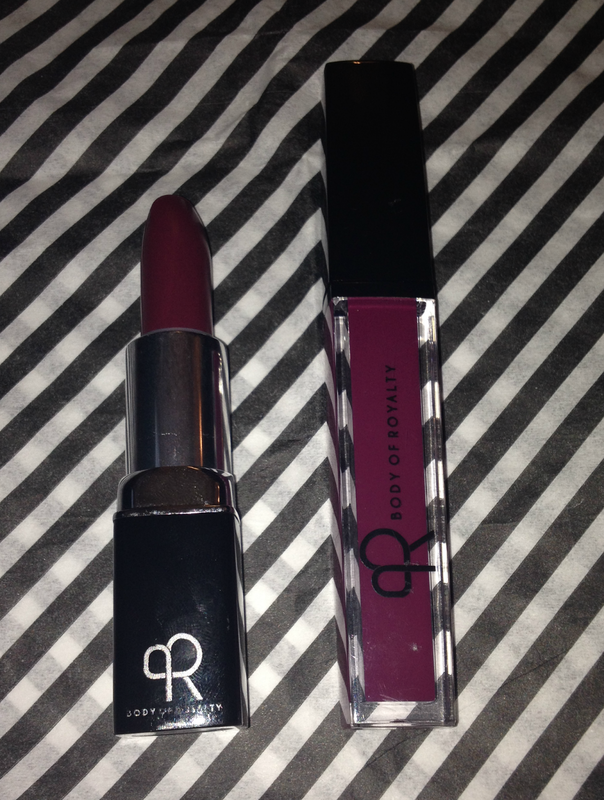 *This lipstick from their site looks more red than purple, but it really is more purple in tone! Thanks to Gloss48 for offering one of my readers a chance to win this set! If you have any questions, please feel free to let me know!! If you're interested in seeing the other Gloss48 goodies today - the sale goes live at 11:00 AM EST! And now for the second giveaway of the day!! 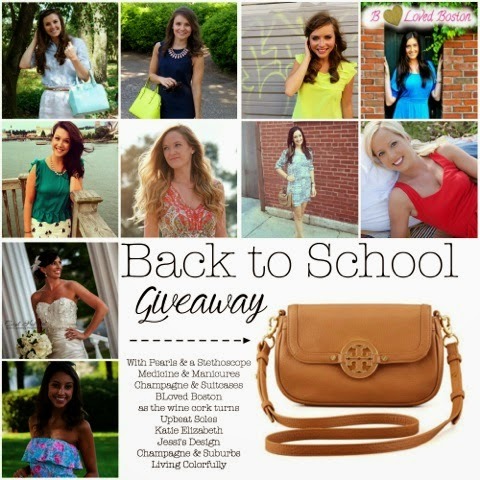 I've teamed up with some amazing blogging ladies so that you can get your hands on the Tory Burch Amanda Cross body!! How perfect is this bag going to be for fall paired with some great riding boots!! 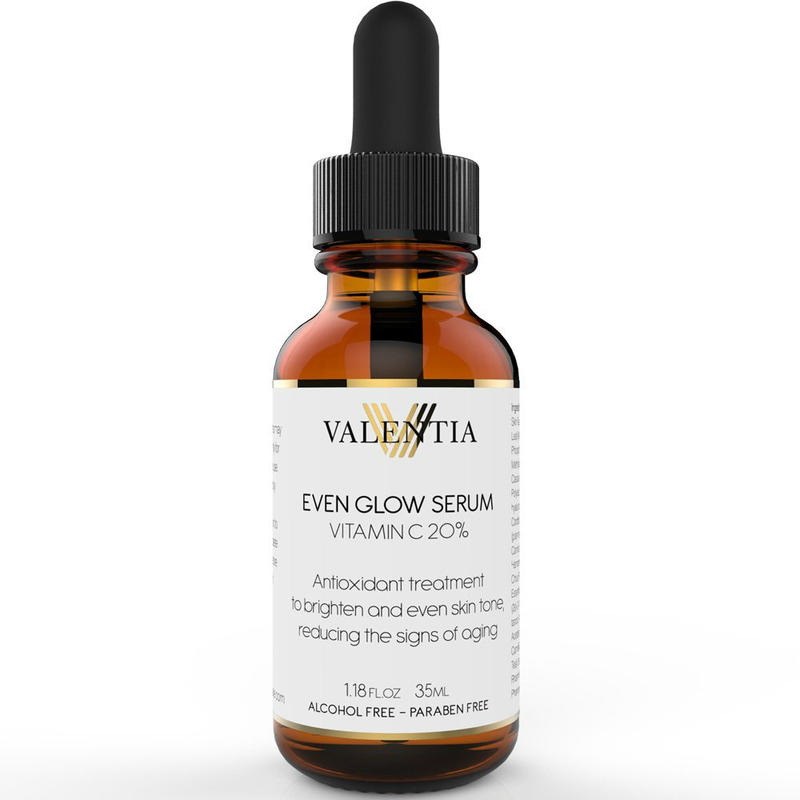 Disclosure: I received the Valentina Even Glow Serum as part of the Brand Backer program and received the products to sample from Gloss48, but all opinions are 100% my own! Such great giveaways. I love the bold lip colors, and perfect for fall! That lip color looks amazing on you!! Let me know how you like the serum in a few weeks! I'm really curious about it! That lip color on you is amazing! LOVE it! I need to find a pretty berry or wine for fall! 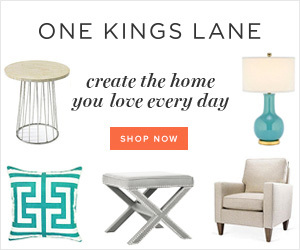 And hello amazing giveaway! I never win anything (literally, I've never won anything before LOL) but I figure I'll give this one a shot! :) You never know, right? WOOHOO! I love both giveaways! Those lip colors are fabulous, I like both of them a lot! Seriously in love with that berry gloss and it looks so perfect on you! Love it for fall too! love serums! and you know i am all about that TB giveaway! Love both of those lip colors, and they look great on you too. So cute that Gary mentioned that he liked it on you too. :-) I look forward to further reviews on that serum too. I'm worried that I may have started the anti-aging skin process too late, so keep the reviews coming! I love that lip on you! and vit c is sooo good for you skin. I love that lip color on you too, it looks so pretty! Great reviews and giveaways today! That lip color combo looks great on you. 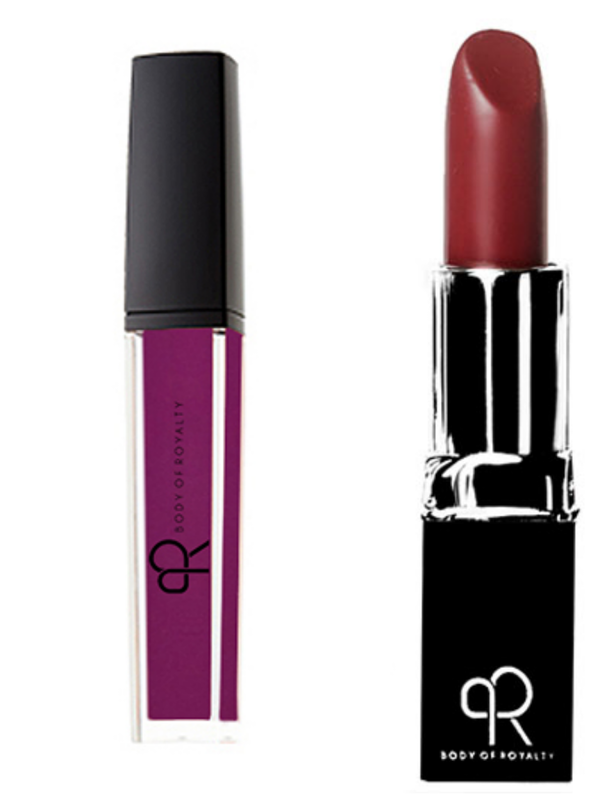 Love your berry lip color! Looks good on you. Great giveaways today! I've been looking for a new crossbody bag. :) Fingers crossed. Great reviews, babe! I'm always on the hunt for a good serum. :) And this lip color looks awesome on you! I love that lip color! Gloss and color together are so perfect! I have a friend who loves her Vitamin C serum, and this one is definitely a bit thicker! Also, AMAZING giveaway. Beyond love this! That serum looks amazing and I need that TB Crossbody bag!!! Love these reviews! I've been looking for a new product to add to my skincare routine and this might be it. You look gorge in that lip color. I NEED that bag in my life! Oh my, two give aways in one post! That serum sounds like something different I am going to have to look in to it!!! And that lip color is just gorgeous on you! I tend to stay pink as well but maybe you have inspired me to step out! Great giveaways! Thanks for hosting! Love that bag! what a fun post! those lipstick colors look super fun and cute! fabulous giveaways darl! that dark lip looks amazing on you, love it. the serum stuff sounds interesting, 90 day guarantee, cant go wrong! What a great bag to transition back into fall! Glad to hear that serum lives up to the hype...I've never really found one that I totally love. ohhhhh you know how I feel about bold lip color! I entered that giveaway it's fabulous! Fingers crossed! 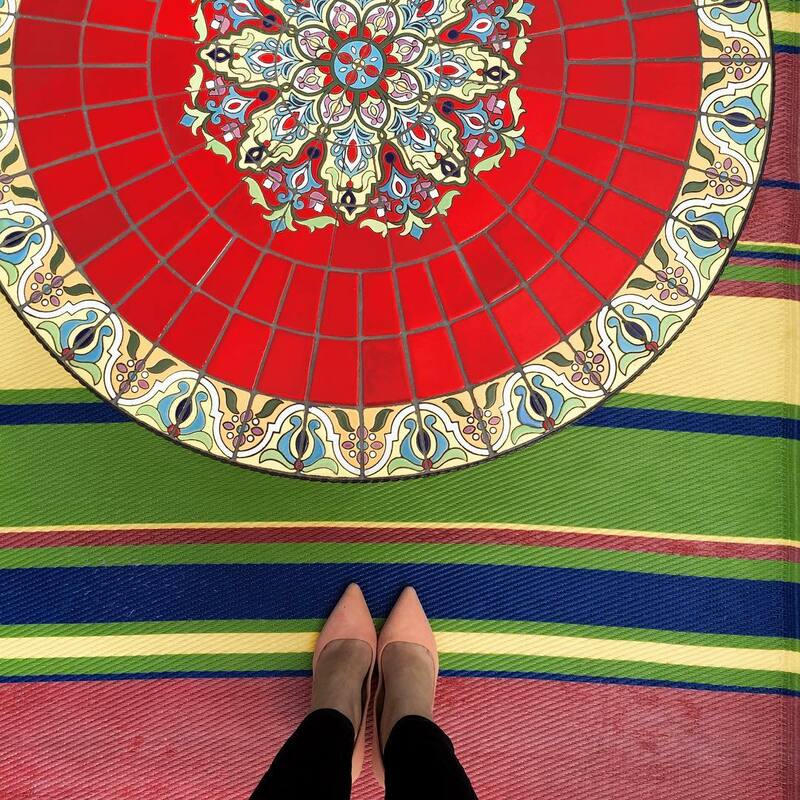 Umm that Tory Burch giveaway is probably the best one I've ever seen. Thank you Biana! And love that lipstick on you! Enter ALL THE GIVEAWAYS!! :) Fun!!! Both of these giveaways are amazing! I love that dark lipstick color - I've always been afraid to try lipstick but this has me convinced! That gloss is perfection! I absolutely love that colour! That color looks PHENOMENAL on you girl! I love bold lips but not sure I could ever pull them off. Love the serum review, I really need an anti wrinkle serum.